In 1975, Jim Blackburn set out to design cycling products worthy of his name. Using his own exacting standards as a guide, these products had to be stronger, lighter, more innovative and more reliable than anything else on the market. 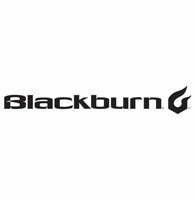 When his first bags and racks were released, Blackburn set a precedent for exceeding cyclist expectations - a tradition that lives on in everything we make today. From a tiny garage nestled between the beaches of Santa Cruz and the pioneering spirit of Silicon Valley, Jim and some close friends shaped that idea into an innovation and a company that enabled riders to break free of conventional thinking. For more information, visit www.blackburndesign.com.